OK......time for a topic to get everyone posting! Simply post the favourite picture you have taken. It doesn't need to be a technically great photo.......in fact it can be a terrible photo! But make sure it is the one YOU like the most, and not what you think others will like! And tell us why you like it! This is a photo I have taken in the last few days of a castle in Marburg, Germany. I love castles and this one reminds me of a castle in Jersey, my favourite childhood holiday spot! Great shot. I can see why you like it. I have already posted my favorite photo and won’t bore everyone with it again – doesn’t belong in landscapes anyway. Stephen, I agree with Slipe. I've already posted my favorite, and it wasn't in landscapes either. I suspect most people have already posted their favorites, except for a lucky few like you that just recently took their favorite. Even at that, they may not feel they should be posted in Landscape's. So, I will post one of my favorite landscapes that I haven't already posted. The reason I haven't already posted it, is because I don't think it's all that good. ( of course that never stopped me from posting other lousy pics :lol: :roll: ) Wrong lighting and sun glare in camera, so I darkened it. Another reason is because the falls are running nowhere near as strong as usual. The reason it's one of my favorites is because it's a beautiful waterfall, and awesome when it's running full steam, but this is the only still shot I have, so it has to be a favorite. I have some video of it running strong, but can't post video. I will add to this subject just as soon as I take my favorite shot. I can feel it just around the corner. I know it! But until then, I will post a favorite later today. Do you mean this to be exclusively landscape favorites? All my own favorites are snapshots of my son as he was growing up. Favorites are the ones that have staying power through the years, bringing back memories so strong that it's as if you're there once again. But none of my landscapes do this. Sorry Barbara, I should have made it clear that the photo does not need to be a landscape photo. Perhaps this would have been better in the general forum. But it is here now so lets post away! 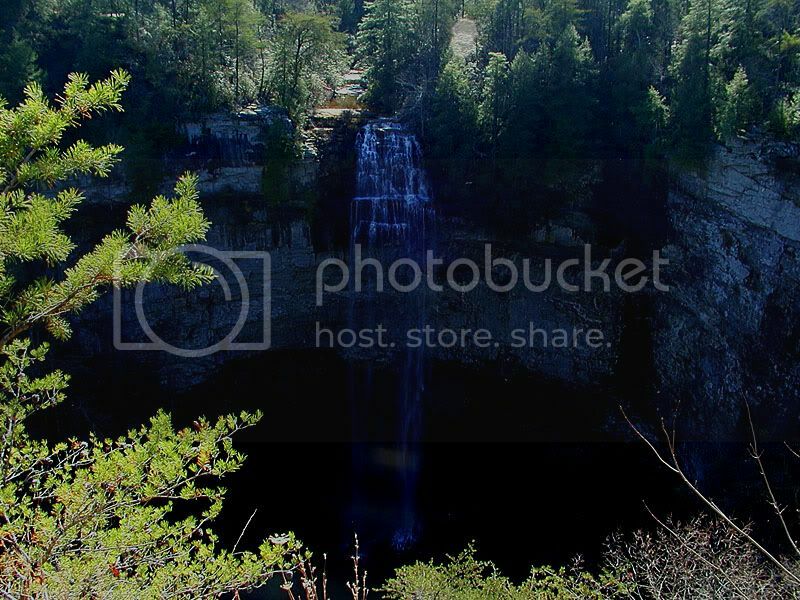 Nice picture of the waterfall Jack! Looks like a cool place and I think you grasped the concept of this post exactly----showing somewhere or something that is special to you! It is ok of you have posted your favourite before! Just add a link to it here, or post it again! ohenry - What a great picture, a shot of this caliber is one I'd certainly add to my favorites. Ohenry I don't know how you class yourself as a photographer, but that is a shot i'm sure any professional would be proud to call their own. And Deexley I like your photograph also. It has a great range of colours and the great border adds to the feeling of 'ruggedness' (spelling???)! Thanks for posting and I hope we can all view some more 'favourite' pictures soon!! !